WordPress by default may not have the wp-content/uploads folder secured with an index page in it. When the wp-content/uploads folder has no index page, the contents of the folder can be viewed through the browser. This article will explain how to install and configure the Secure Folder wp-content/uploads plugin for WordPress. Go to the plugins and Click Add New. Search for security in the search bar. Find the "Secure Folder wp-content/upload plugin" and click Install Now. 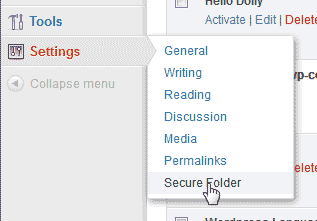 Now that the plugin is installed, go to Settings > Secure Folder to go to the Secure Folder Plugin Dashboard. Click the link that says, "Click here to check is your wp-content/uploads folder are open". If you see an "Index of " page display you will need to run the Secure Folder script. Go back to the Secure Folder Plugin in your WordPress Dashboard. Click Secure Folder. 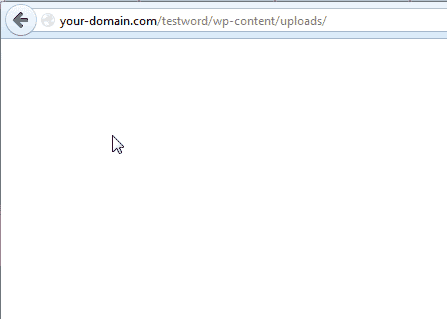 If the wp-content/uploads file shows a blank screen then the folder is secured.